In today’s new age of technology users crave the ability to work collaboratively with people both inside and outside of their organisations. Users expect to make connections through social media applications and a successful enterprise social network should replicate this in order to achieve the same success. More often than not organisations treat their intranet and their extranet as two separate entities. They issue their staff with logins for each application and often have to duplicate content in order for both type of user to be able to access the same bit of information. This is a unnesscessary waste of time, money and resources. Both applications are just as important as each other and in theory, have the same goal. Engage people, agencies & external third parties using our product. Provide access to read or publish knowledge articles, to all users with appropriate permissions. Our product recognises classes of users depending on agency or single sign on identification, maintaining organisational control over access to your Digital Workplace. We provide a straightforward way to publish news, project updates, and reference material to your digital workplace, providing your users with one easy-to-use platform. Creating content is a simple case of clicking ‘Add content’ on your tool menu, and choosing the content type. You then fill in the fields and draft your content. You may send your draft for review, and schedule your page to publish at a set time. The ability to add comments to an unpublished piece of content by those collaborating allows constant communication of changes and updates before publishing to a live environment. 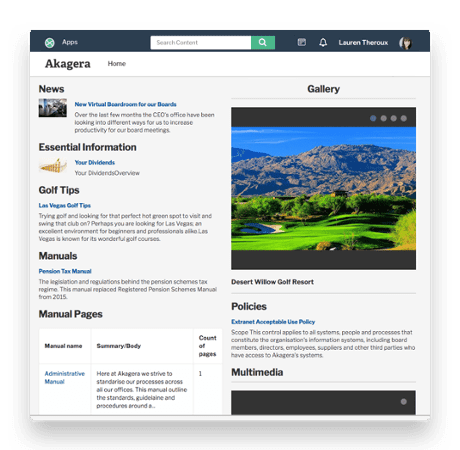 The ability to access content, collaborate on content and create new content is available for all users who have full access to your intranet or extranet user roles. Intranet – Integrate our Intranet into your existing systems, transform data via our APIs, enable Single Sign On (SSO) using all standard protocols. Portal – Enable evolution in your organisation by collaborating with neighbour agencies and groups. 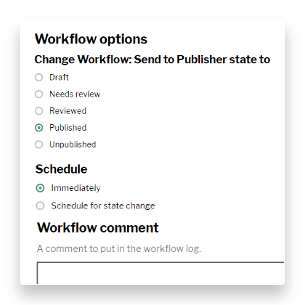 Distributed Publishing – Distributed publishing enables the delegation of publishing responsibilities across your organisation, cascading author, editor and publisher permissions from onboarding, to individual section owners and outwards through your organisation.